Toronto. London. Guelph. Peterborough. Awesome. Coming your way this weekend! See you on the road! Exclamation! Ronnie Hawkins nominated for a CBC Radio3 Bucky Award! Played a fun show Monday night in Charlottetown! Here’s a clip of Carolina from the night by some great folks we met who also did a nice radio interview for us from the Mo and Martin show… We’re in Halifax now – playing an in store CD release at Obsolete Records tomorrow (Thursday) at 1:30pm and then off to Wolfville for the night, before returning to play Halifax POP Friday night at the Foggy Goggle. Saturday we’re in St. Andrews and then the long trek home! Here’s a nice snippet of us working on a new song by Annie before we trek to the East Coast… we’re looking forward to Halifax Pop Explosion and all the other stops along the way, and to meeting new people as we go – come on out and say hi! See you on the road! 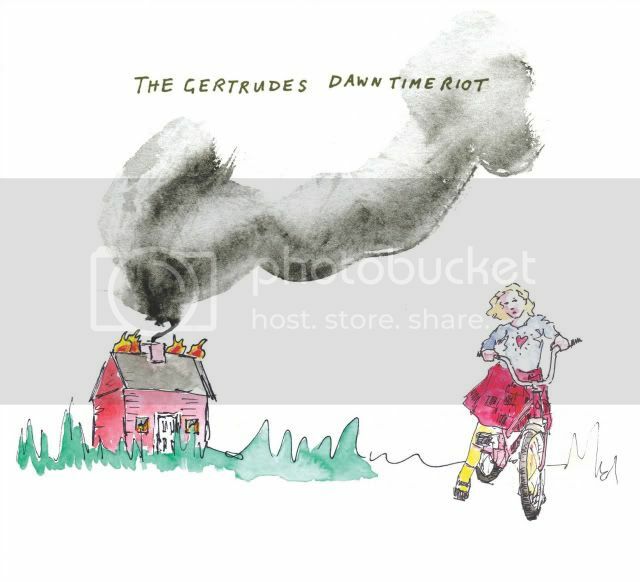 The Gertrudes’ Dawn Time Riot – Fall Tour Release Date! We’re thrilled to be hitting the road soon to release Dawn Time Riot! We’re heading eastward in October and then around Ontario in November. See you there! Thanks to all who pre-ordered the album and all sorts of other prizes via IndieGoGo: the album is in the bag and ready to roll out. The official release date is set for October, when we’ll be touring the album (stay tuned for dates coming soon) but in the mean time, if you are in Kingston this Friday (Aug 27th), come on over to the Wolfe Island Grill (map) and hear a sneak preview of Dawn Time Riot, claim some of your prizes and listen to The Gertrudes rock out with Special Guests… The show starts at 7:30 and will continue late into the night – with The Gertrudes somewhere in the middle. Come for dinner, stay for music, and jump in the lake with us! Listen to: Warm Wind from the South from the upcoming full length Dawn Time Riot! We’re having the most awesomest of summers. We just recently got back from the West Coast playing at some amazing festivals and topped it all off with a family trip (all the families!) up to Blue Skies for an amazing long weekend. We’ve met amazing audiences across the country and got to jam with some super fine bands and musicians. Man, we’re feeling on top of the world – despite the sleep deprivation of staying up all night to jam and waking up to the songs of children in the early am, not long after falling into bed. Wish you were all here… wherever that may be. Hope to see you all again soon – Anyone coming to the Eaglesmith Picnic? We’ll be there… possibly attired in bells of some kind. Check out some photographic highlights of our west coast trip, courtesy of our T-bone player Pim over at his flickr page: Gertrudes Out West! ps. our IndieGoGo crowdsourced fundraiser to cover manufacturing costs is going really well! only 8 days left to pre-order or get some puppets! We’re just over $2500 of our $4000 goal at this time… help out if you can at www.indiegogo.com/gertrudes – Thanks! 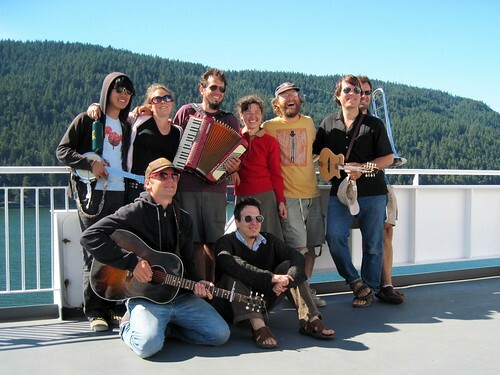 The Gertrudes team up with you (via IndieGoGo) to make our new record! Want to pre-order Dawn Time Riot AND help us manufacture the record? You too can be an executive producer…. 🙂 See video and links below for how to get involved! Go to: http://www.indiegogo.com/gertrudes to find out more! We’re stoked to be heading out west this summer – see the tour dates below. We’re also really excited about the album – stay tuned for more news on the progress of that soon! 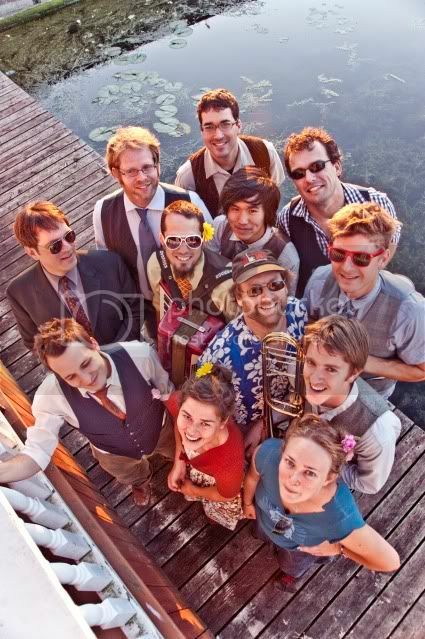 June 16 – Opening Night of The Skeleton Park Music Fest w/ Ohbijou & Rueben deGroot, Chalmers Church – Free Concert! Open Voices Choir Recording Video! Annie’s arrangement for the last chorus of Catfish John… we we’re lucky enough to get The Gertrudes backed up by an entire choir! Open Voices generously joined us for this recording for our upcoming album “Dawn Time Riot” (Apple Crisp, 2010). See open-voices.org for more about the choir.